Add the name of the new form you want to create and click 'Create'. 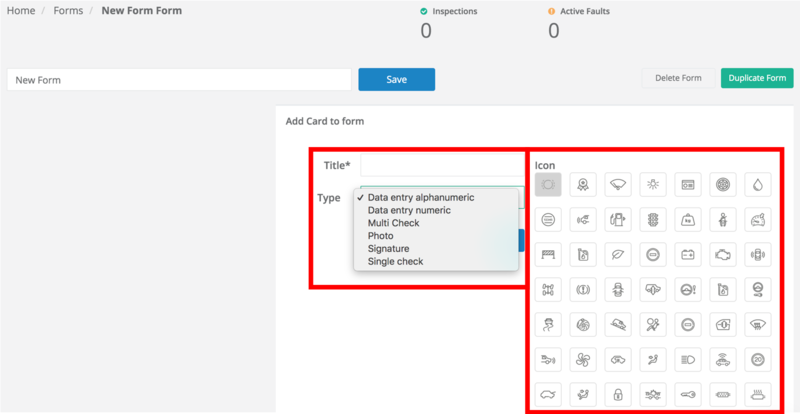 You can also add an icon to each card to help the driver quickly recognize what they are inspecting. Once you have added a card, they will be shown to the left of the screen in the same format as your drivers will see in the app. You can edit and/or delete the cards if you have made a mistake. 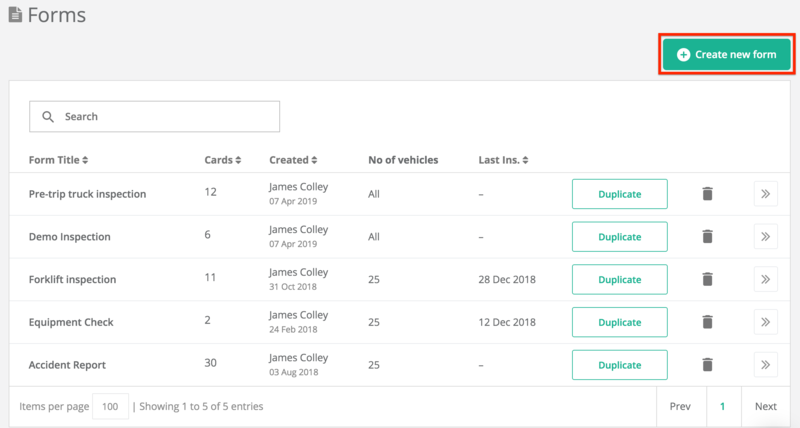 You can also drag and drop the order of the cards to streamline the walk around inspection of the vehicle. Please note: We recommend working closely with your drivers to make the forms simple and in a fluid order to save the driver time when carrying out the inspection. Our team are always on hand to help you create and customize your forms. Please contact us via the chat button at the bottom right of the screen.